FERRARIO - [ Portraits of New Zealand inhabitants ]. FERRARIO, G. - [ Portraits of New Zealand inhabitants ]. [ Portraits of New Zealand inhabitants ]. - FERRARIO, G.
Title : [ Portraits of New Zealand inhabitants ].. Size : 10.6 x 7.5 inches. / 27.0 x 19.0 cm. 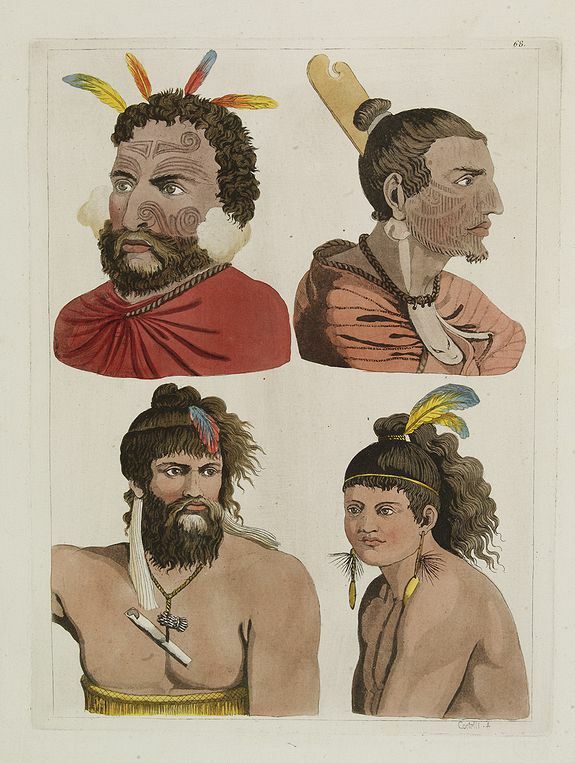 Description :Aquatint depicting 4 portraits of New Zealand inhabitants engraved by Castelli. Plate N° 68.